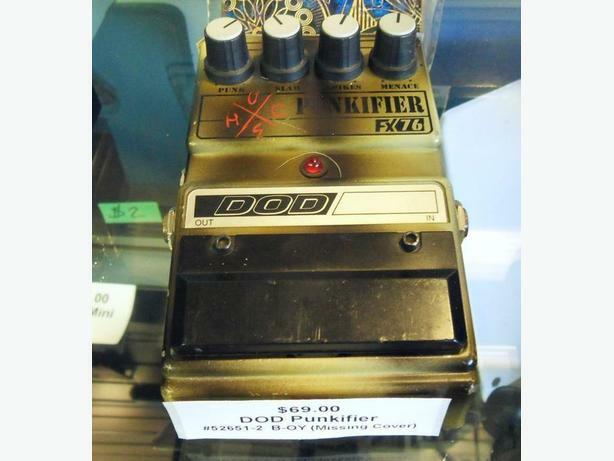 Dod Punkifier pedal FX76. Battery cover missing. Please Note: We are NOT the shop on the TransCanada highway; we are located directly behind on Whistler St. Please find a Map and Directions at www.heritagepawnbrokers.com. 430 Whistler St, Duncan.